I gave up on complex fitness routines. I threw out my fitness gadgets. I even got rid of my weights. I adopted a FAR simpler, equipment-free approach to overall fitness. Then I made another bold, what some might call 'crazy move.' I pared my diet down to nothing but plants! Yes, I was 'on a roll,' so to speak. Especially after I found my health and fitness levels soaring to what some might call near 'super-human' levels. Less is more. Hemingway demonstrated as much, with The Old Man And The Sea. Steinbeck did so with The Pearl. MacDonald followed suit with the lesser-known, The Empty Trap. Yet the written word is just ONE instance in which the 'art of minimalism' as I'd call it, seems to yield more power than not. There's a LOT more. In the realm of fitness: Some of the greatest athletes ever known, made the choice to forgo equipment AND complex routines - in favor of minimalistic, simple calisthenics - squats, push-ups, pull-ups and the like. Herschel Walker of NFL and martial arts fame did so. So did collegiate wrestling champion Matt Furey. Plus: Bruce Lee chose body-weight exercise as his primary tool in developing world-class fitness. Yes, they're good examples all of the power of the simple over the...unnecessarily elaborate. When it comes to diet: Dr. Lorraine Day, M.D. comes to my mind. She was given just weeks to live with a MASSIVE malignant tumor on her chest (see http://drday.com/tumor.htm). She chose to discard ALL 'advanced' medical treatment. Instead, she simply stopped all poisons from entering her body. She nourished herself with pure water, fruits and vegetables. She gave up ALL flesh and junk foods. Which have been proven again and again, to result in FAR from ideal health. See Dr. Cambpell's The China Study for more on that. She also got plenty of sunshine, stayed active. AND, she adopted a winning attitude. And I can tell you from experience: Once I gave up my overly complex, heavily cooked diet in favor of simple, raw plant foods. Once I unloaded weights, gym memberships and unneeded fitness gadgetry. And once I began doing totally simple - but MASSIVELY-efficient - sprints and calisthenics? My health AND fitness soared to new levels. Which, considering my 'advanced age' at the time, surprised even me. Before adopting a more minimalist lifestyle: I suffered poor sleep habits. With my new, streamlined approach, I slept 'like the dead.' Where before I'd felt a sense of lethargy upon rising. I now woke energized and fit, for whatever the world had to offer. Where previously my joints might scream with pain after a tough workout. They now felt so strong that I couldn't imagine how I'd put up with them before. You can do EXACTLY as I've done. Throw out pills, medicines and unneeded potions. Speaking of which - in most cases are LOADED with near incomprehensible ingredients. Which often result in horrific side-effects that are all TOO comprehensible. Just read 'fine print' on most drug packaging for proof. Heed Hippocrates' call to action, 'Let thy food be thy medicine, and thy medicine be thy food.' In my opinion: The father of natural medicine KNEW from whence he spoke. Reach for fruits and vegetables before ALL other food types. You'll reduce your cravings for unhealthy foods. You'll load your body with nutrients. AND, you'll watch as your digestion, elimination and other bodily functions return to that of the person you were in youth. It's a powerful feeling! You'll be shocked at your results. Your tendons, joints and ligaments will become super-strong. You'll develop ripped, attractive muscle, head to toe. You'll drop excess weight 'like mad.' And you'll develop a type of mental toughness unknown to the mass of Man. Who has become so inundated with complexity that he often can't fathom the possibility that a simple solution to a problem, might be the best way to go. And there you have it. 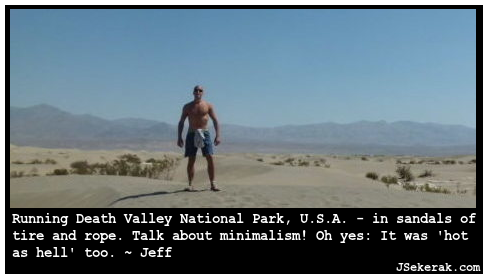 Exercise the power of minimalism. Do so in diet AND fitness. And while you're at it? Before bed each night, shut down that weapon - er uh, TV - in the living room. Read a few pages of The Old Man and The Sea, instead. Read Steinbeck's The Pearl - a minimalist masterpiece, if ever there was. Or try that lesser known gem, The Empty Trap (http://www.amazon.com/Empty-Trap-John-D-Macdonald-ebook/dp/B00AP2VIYK/ref=sr_1_2?ie=UTF8&qid=1428719567&sr=8-2&keywords=The+empty+trap+macdonald). You'll be glad you did, in ANY or ALL of these cases. Follow these steps to the best of your ability. Make your diet and fitness plans simpler than most might think 'advisable.' Embrace the notion of simplicity as your own. In short: Make minimalism your friend! Do this, and I'd bet my life on it: You'll become a BIG believer in the idea of less is more. In fact, if you're not careful? You just might find yourself transforming into the type of fit, carefree individual that others - in a world 'gone mad' with complexity - admire most. What type of individual is THAT, you might ask? Why a master minimalist, of course!